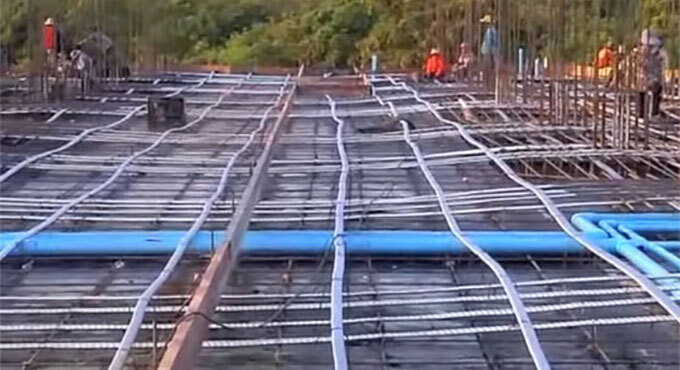 This construction video shows the construction process (post tensioning prep) that is undertaken at the initial phase of constructing a superior quality luxury beachfront condominiums. Post tensioning is a method for reinforcing concrete to reinforce in a more dynamic manner. Post-tensioned concrete denotes that the concrete is poured and then the tension is put to use but it is still stressed prior to the loads are utilized so it is termed as prestressed.